Join us for our Valentine/St. 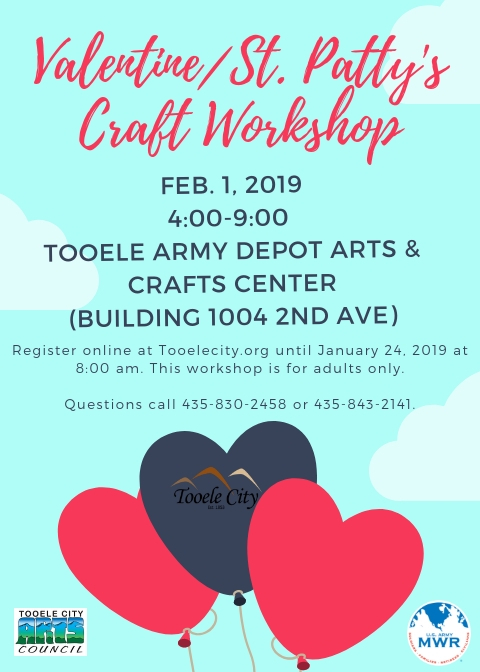 Patty’s Day Craft Workshop on Friday, February 1, 2019 at the Tooele Army Depot Arts & Craft Center. Registration ends Thursday, January 24, 2019 at 8:00 a.m.